Everyone from the Duke and Duchess of Windsor (the original Windsor Suite, below) to Coco Chanel to F. Scott and Zelda Fitzgerald were regular guests, not to mention throngs of international royalty, Hollywood stars, world leaders, designers and artists. 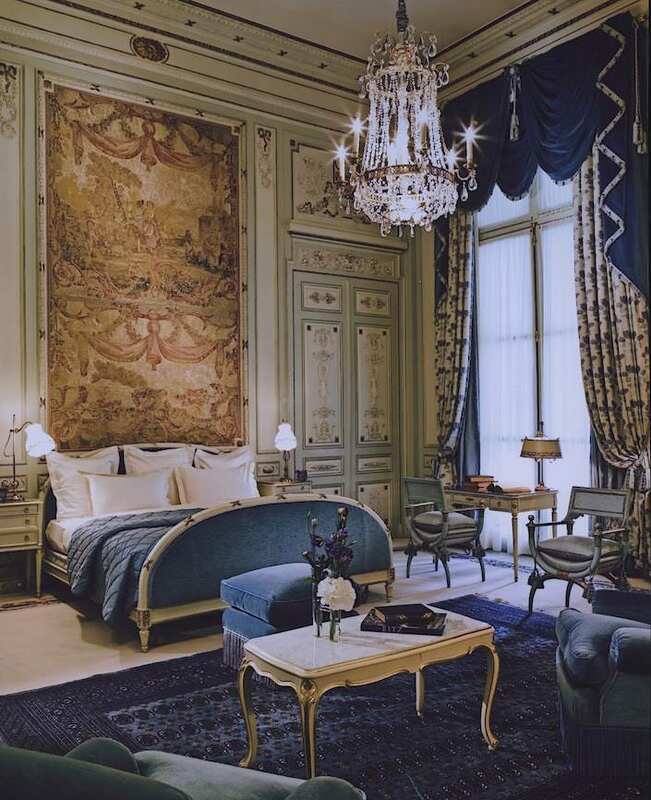 Following a massive four year, $400 million renovation by Thierry Despont, it reopened to much fanfare in June 2016. 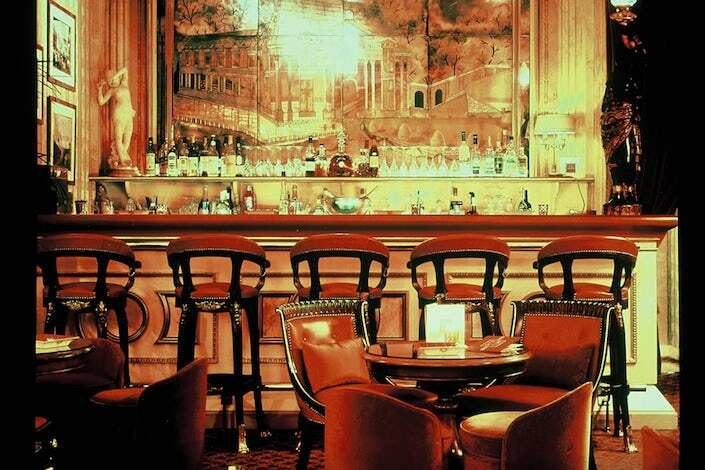 Many may have wondered what happened to all the furniture and decorative art that graced the hotel for all those years. 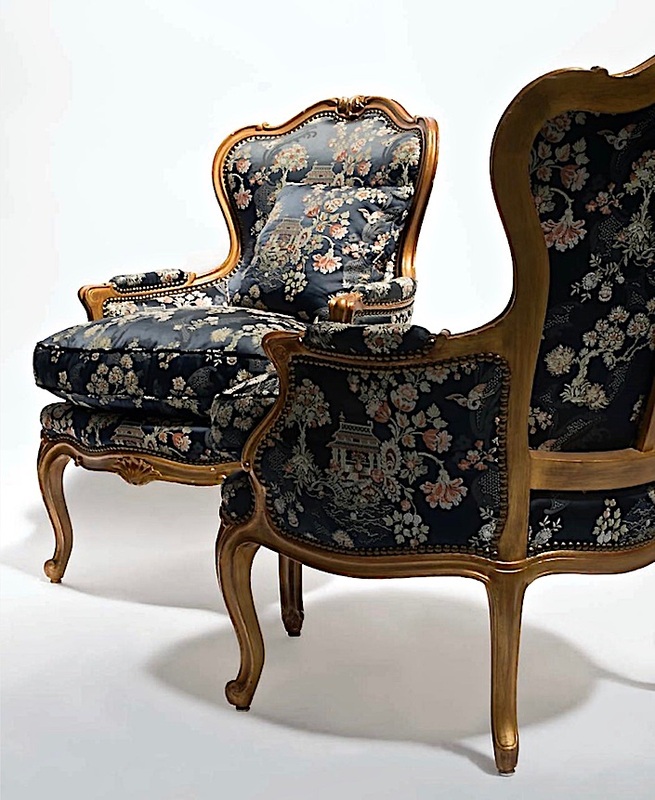 Well, it has been carefully preserved, sitting in a clandestine warehouse location and now Artcurial is presenting over 10,000 items organized into 3,500 lots for auction – the chairs from the Windsor Suite up for auction, above. 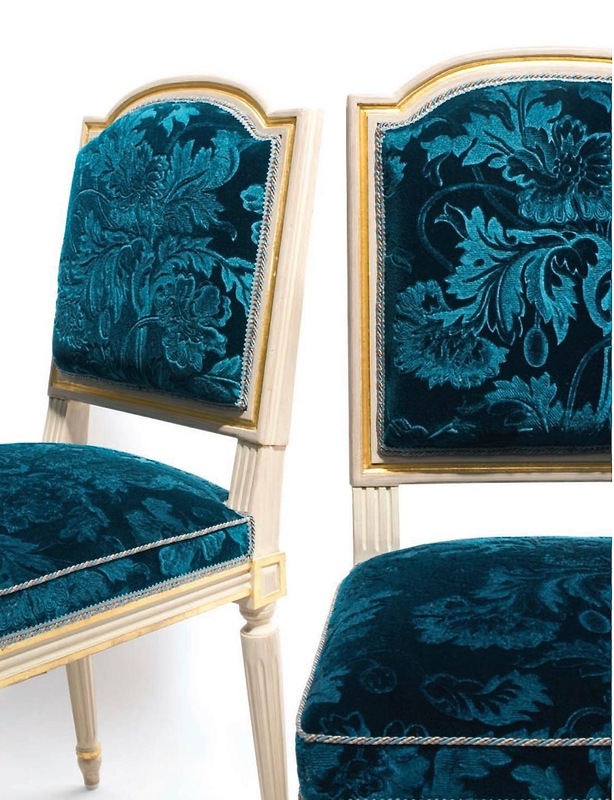 Designer Vincent Darré will be setting the stage for the five day sale to be held in the Hotel Marcel Dassault starting on April 17. 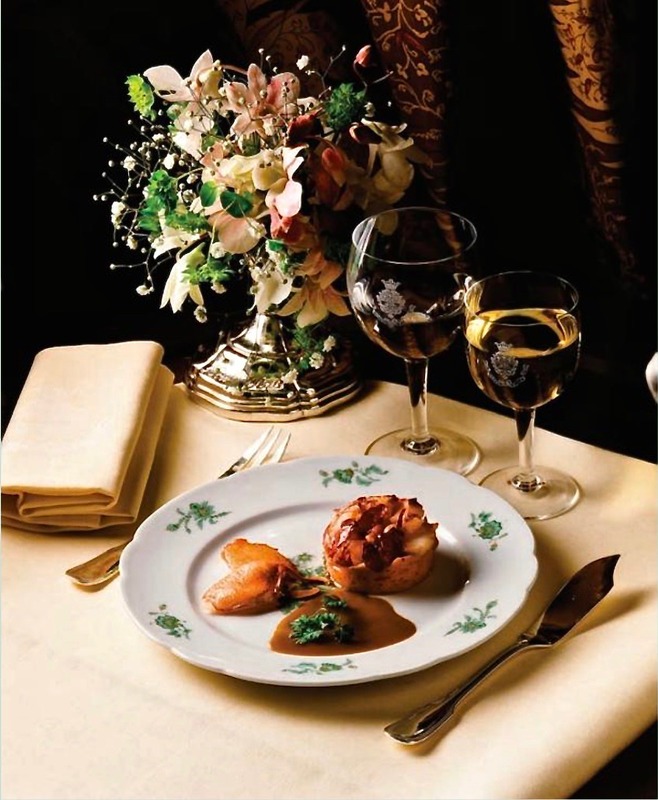 Including everything from fine furnishings (the celebrated Ritz bar, above and the stools coming to auction, below) to plumbing fixtures, display cases and all manner of decorative accessories, the auction offers the opportunity to own a piece of the legendary hotel. 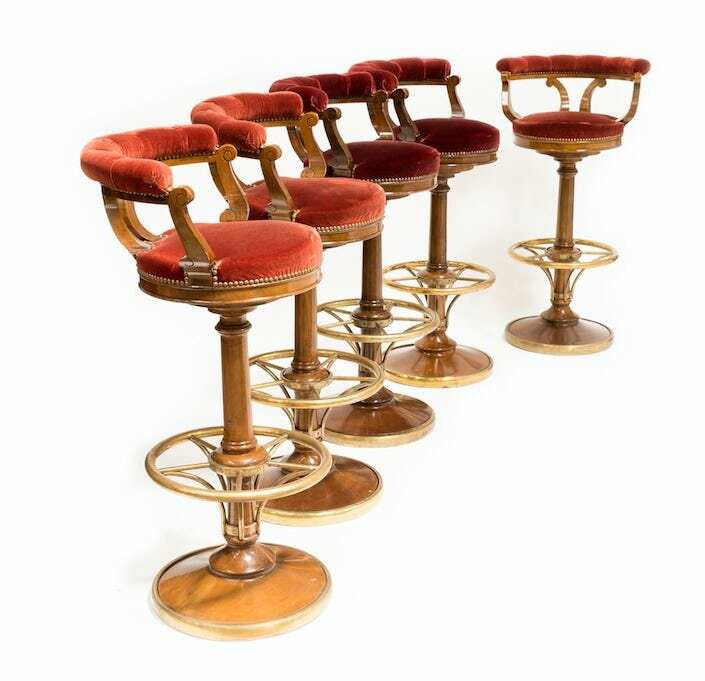 Swivel velvet barstools from the Ritz club are also included. 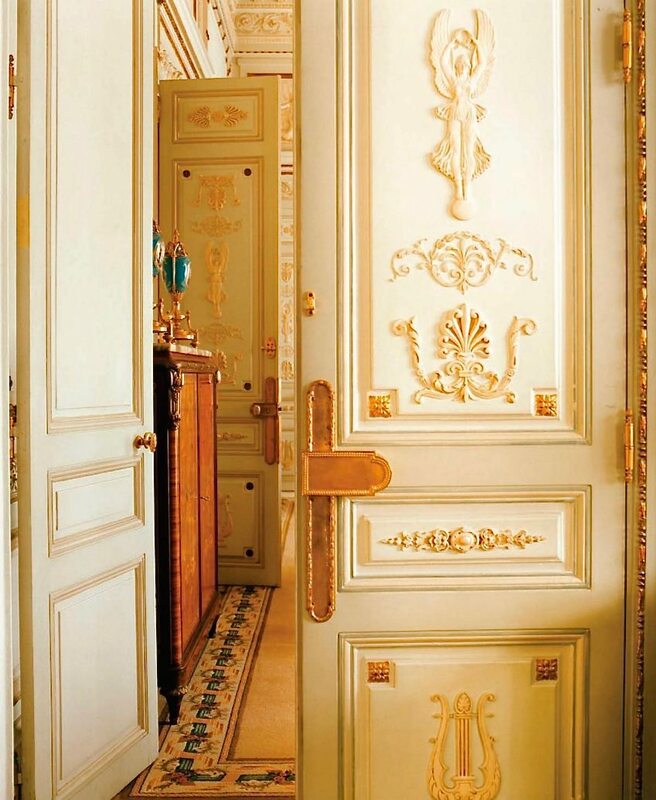 César Ritz was fastidious and discriminating, choosing every detail for the decor of the hotel. The peachy pink bath linens were specifically chosen to highlight his wife’s complexion. You too can obtain that warm glow as many of the linens are included in the sale. 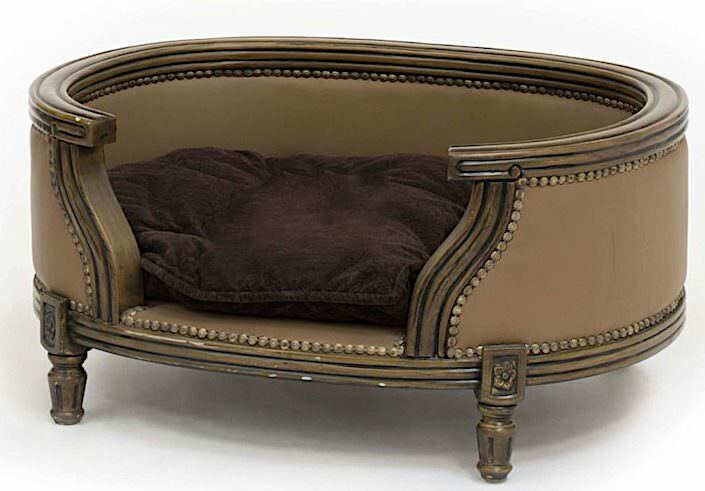 to a dog bed befitting those pets who graced the Ritz with their canine benevolence. 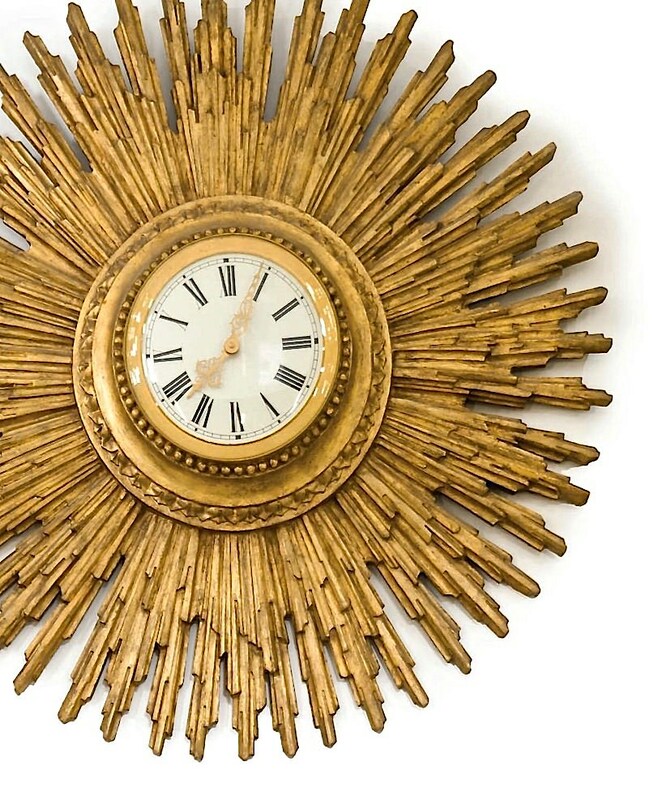 curtains, rugs and such details as clocks, below, fireplace accessories and even curtain tie backs. 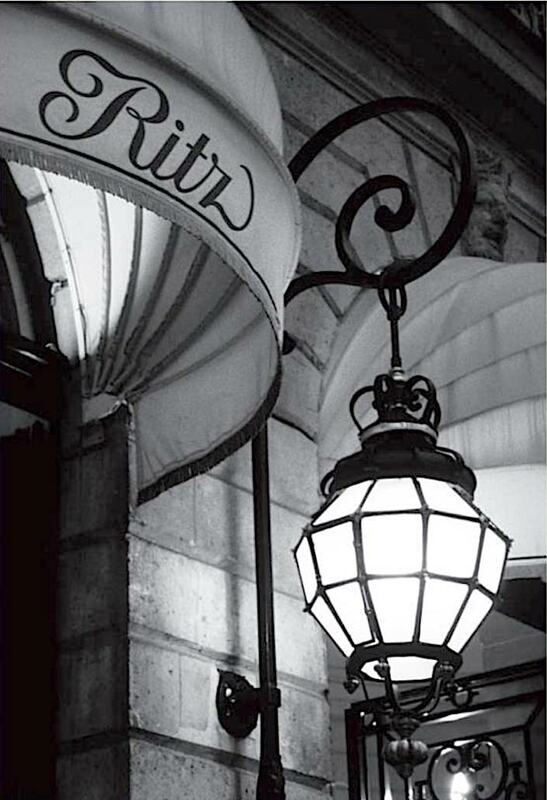 I urge you to take a gander through the massive listings – you may just find a piece of The Ritz to claim as your own. This entry posted in art, auctions, furniture, interior design. 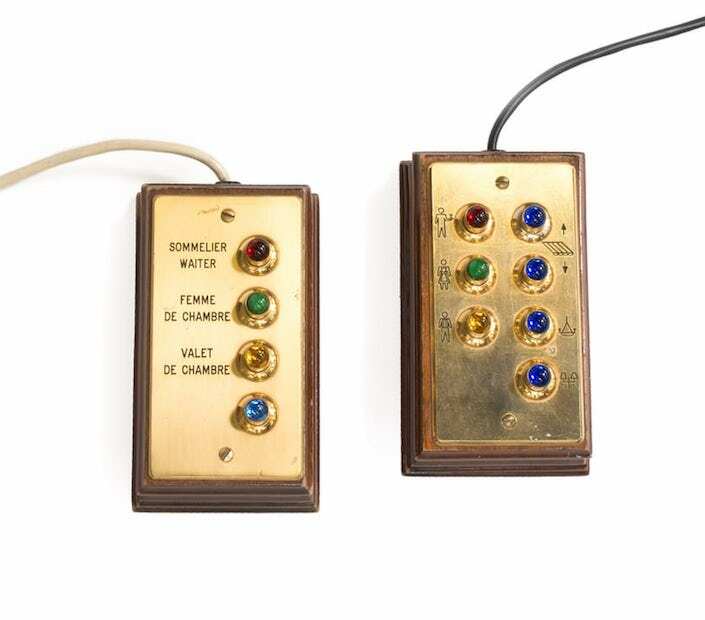 Entry Tags: antiques, Artcurial, auctions, interior design, The Ritz Paris Bookmark the permalink. I hope the people who end up with this STUFF KNOW WHAT THEY HAVE and will cherish it! First, I absolutely LOVE your wonderful blog. Thankyou for all you give to your (…lucky….grateful….) readers! Second, seeing the photos and imagining the many treasures, it’s almost a heartache knowing that all these stunning items (oh the stories they could tell!!!) are being auctioned and it’s impossible to bid much less buy. I’m sure I’m one of many who are dreaming and wishing!!! I agree with La Contessa, hoping every bit of it ends up with those who will appreciate and care for what they have. I love your blog. 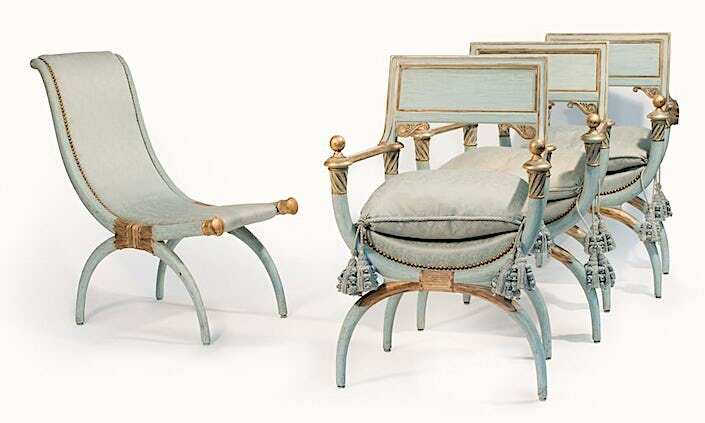 Seeing all these wonderful items makes me want to refurnish my home…if only I could! 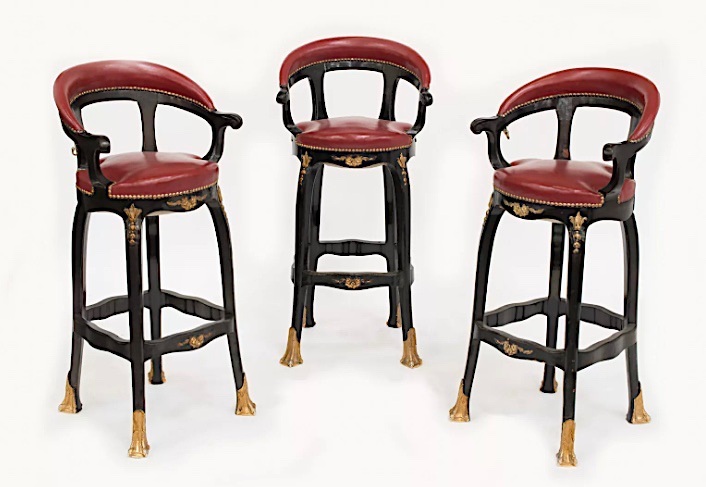 The history of these items…kinda like the walls, if only they could talk! 81 queries in 0.699 seconds.